Backwater Guide Service offers a ( 2 hour +) sightseeing trip on the beautiful Apalachicola River and some of its many backwaters. It is there you most likely to encounter alligators sunning on the banks of the marshlands. Eagles, ospreys and swallow tail kites soaring high above or nesting. Other such wildlife like deer, hogs, raccoons, turtles ,otters ,ducks and much more. Cypress and tupelo trees shading the river’s edge and the sound of peace and serenity in the air. Hear the history and many stories from the captain what it’s like growing up on the Apalachicola River. It’s a trip that will just have you kicking back, relaxing ,enjoying what nature has to offer. Approximately 25 mile round trip. Ice chest/ice included You bring your favorite beverages, snacks, most of all your CAMERA !!! 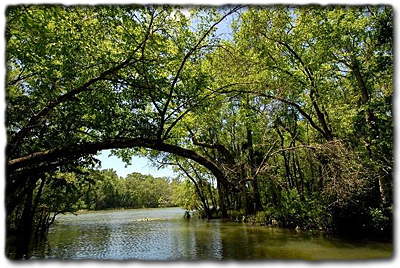 Enjoy a relaxing eco tour 20 miles up the beautiful Apalachicola River to the old historic site of Ft. Gadsden State Park. It’s there where you will learn the history of the historic site and the many stories that took place there in the early 1800’s. See the many artifacts excavated on the historic site, displayed in a window showcase along with old maps, portraits, and literature for you to see and learn and to recognize an important piece of our national heritage. 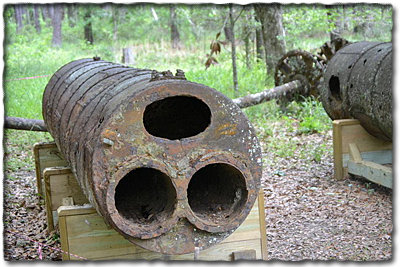 The actual history surrounding Fort Gadsden is one of bloody battles for power during Spanish Florida’s last days. The prominent bank on the majestic river hosted international conflict that determined the destiny of nations. Spaniards, British, Americans, runaway slaves, Choctaws, Seminoles and Upper and Lower Creek Indians have settled and or battled there one time or another. Once it hailed as a British Fort in 1814, the British had trained and armed allied Indians and runaway slaves before leaving and left them with ample artillery and military supplies to protect the fort. The post earned a reputation as a threat to all supply vessels that used the river between the United States an Gulf of Mexico. In response the United States ordered that the fort be destroyed. You could imagine the scene that took place early one morning in July 1816, when a glowing red hot cannonball shot across the river landed on the magazine, at the old British fort, literally blowing everything to pieces. Just a few survived the blast killing nearly 300 people. During the First Seminole War, in April 1818 Major General Andrew Jackson commanded Lt. James Gadsden to rebuild a new fort back, as a supply base, for its strategic location. Lt. Gadsden built a new fort in ten days, and inspired by the lieutenant’s zeal, Jackson named the fort in Gadsden honor. Gadsden is also famed for the Gadsden Purchase of 1853. After leaving the site you will travel back down 10 miles and merge into Backwater Guide Service 2 hour tour. (See 2 hour Eco Tour for information.) Approximately 45 mile round trip.